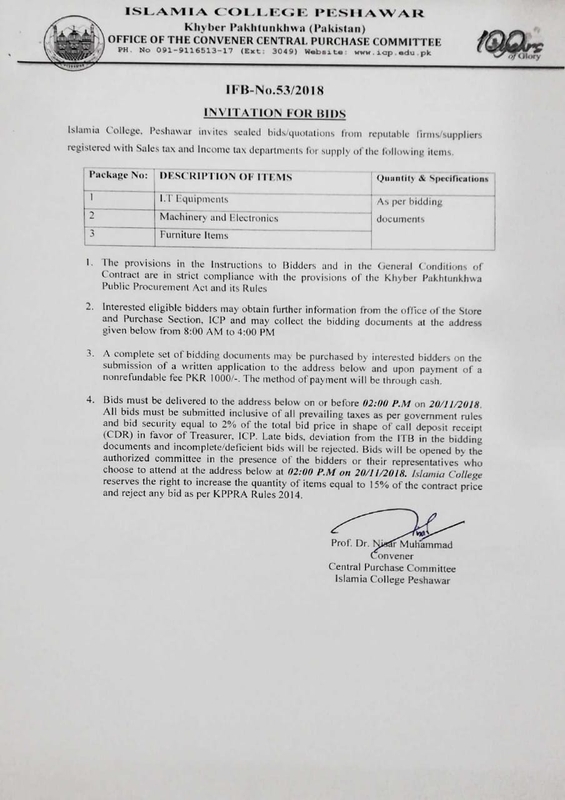 43 05-09-2018 Notice for Pre-Qualification of Contractors. 29 27-12-2017 Tender Notice for purchase of furniture and IT equipment. 28 27-12-2017 Tender Notice for construction of Tennis Court. 26 06-11-2017 Tender Notice by Central Purchase Committee, for the purchase of furniture for TSA Hall. 25 02-11-2017 Tender Notice by Central Purchase Committee. 24 13-10-2017 Tender Notice by Central Purchase Committee. 22 17-04-2017 Tender Notice by Directorate of Works. 19 28-03-2017 Various Tender Notices by Work Directorate. 18 09-03-2017 Local Short Tender Notice by Directorate of Works. 17 08-02-2017 Various Tender Notices by Work Directorate. 16 21-11-2016 Various Tender Notice by Work Directorate. 14 19-10-2016 Various Tender notices by Works Directorate. 12 02-08-2016 Tender notice by Central Purchase Committee. 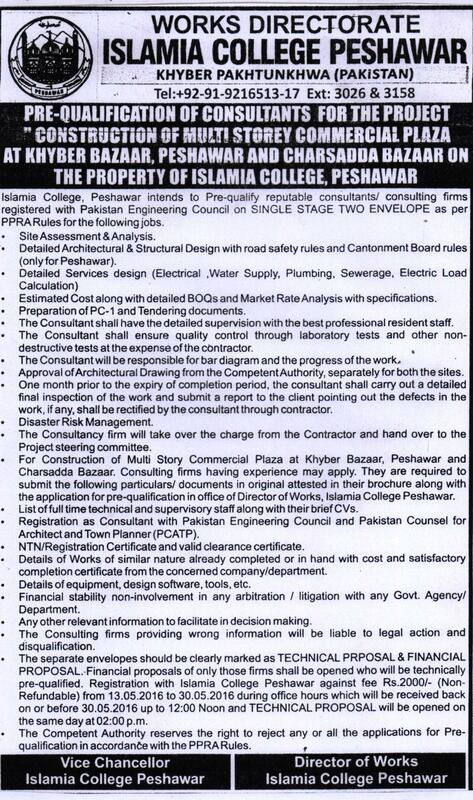 9 13-05-2016 Pre-Qualification of consultants for the project construction of Multi Storey commercial Plaza at Khyber Bazar , Peshawar and Charsadda Bazar on the property of Islamia College, Peshawar. 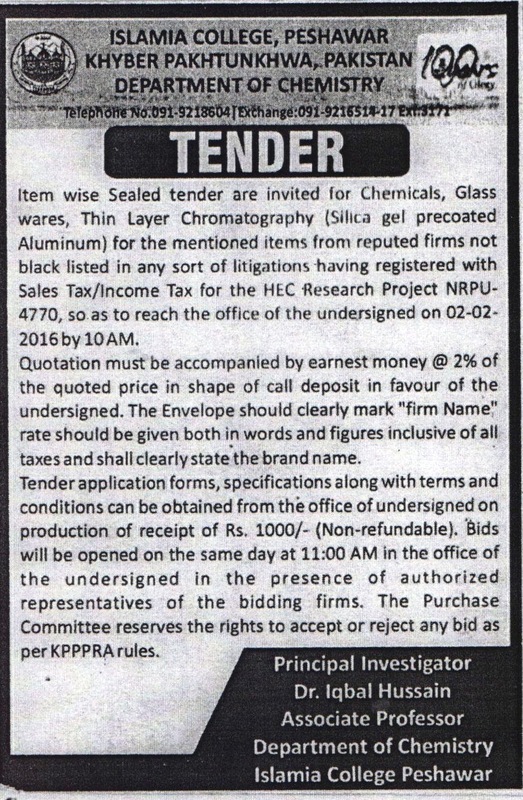 6 16-01-2016 Tender Notice for Chemicals by Department of Chemistry. 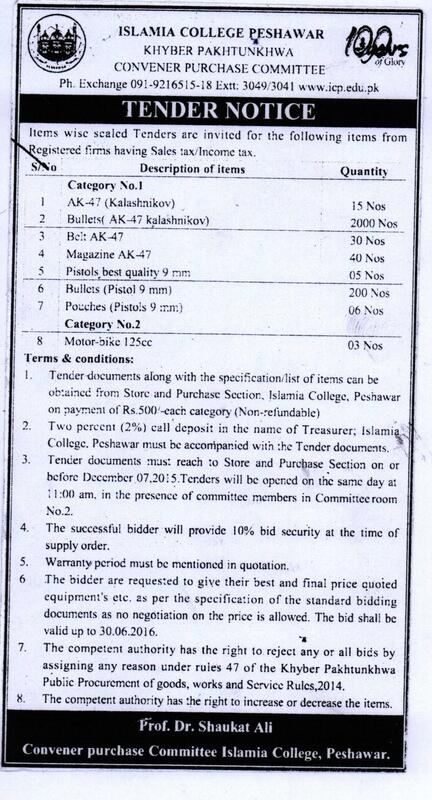 3 20-11-2015 Short tender notice by Central Purchase Committee. 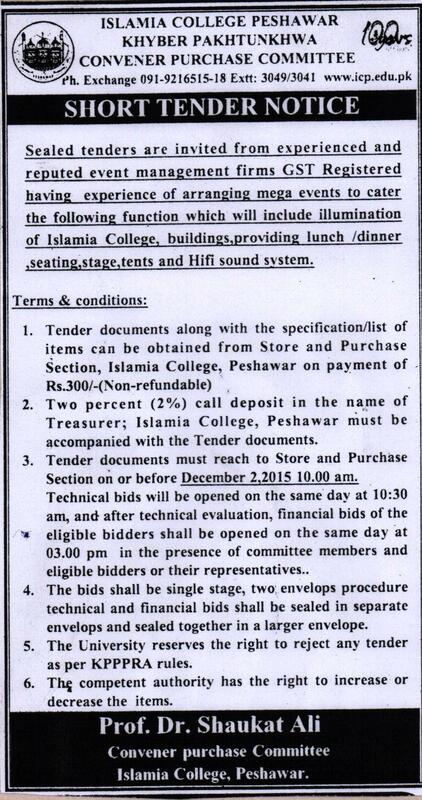 2 21-11-2015 Tender notice for various items. 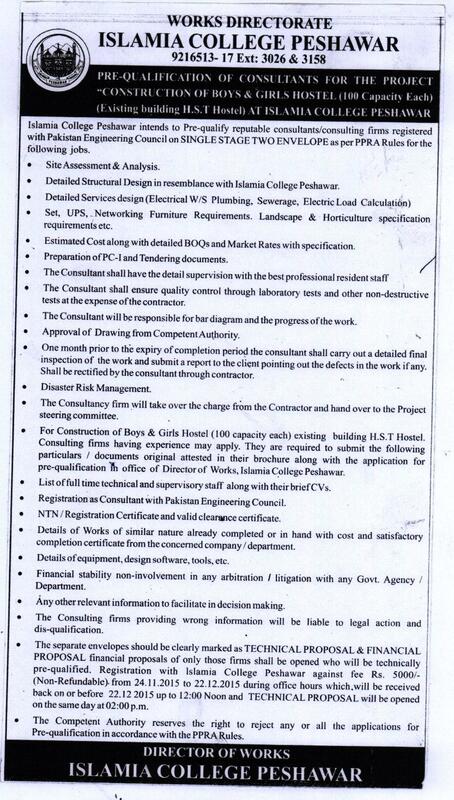 1 20-11-2015 Pre-Qualification of consultant for the project construction of Boys and Girls Hostel.